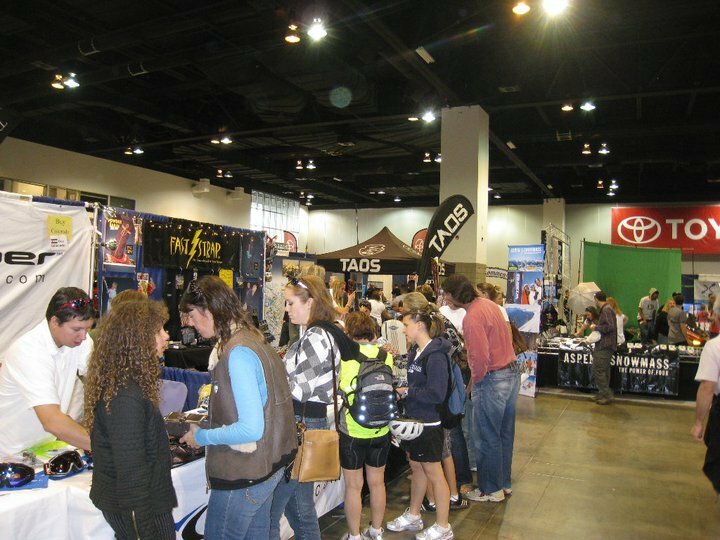 Denver, CO – The 20th Annual Colorado Ski and Snowboard Expo will once again be the “go to” event for avid Colorado skiers and snowboarders on the hunt for deals on skis, boards, clothing and accessories with prices on last season’s equipment slashed 40-75 percent. Held in Exhibit Hall F at the Colorado Convention Center in downtown Denver, the Expo opens at noon on Friday, Nov. 4, and continues through Sunday, Nov. 6 until 6 p.m. It is the single largest ski and snowboard sale in the state with more than 20,000 square feet of retail space jammed with excess inventory from last season from all over the country. All 26 Colorado ski and snowboard resorts and more from beyond the state will also be on site with show-only specials on everything from season passes, lift tickets, lodging and lessons to discounts on dining and mountain resort activities. For most resorts, this is also the last chance to snag early season prices on season passes and lift ticket deals. Adding energy and entertainment to the Expo are new attractions and traditional favorites. The Biergarten that debuted last year morphs next month into the full-fledged Rocky Mountain Brew Fest inside the Expo doors. For $25, beer-lovers will have access to three hours of sampling from more than 10 breweries showcasing a number of their distinctive, and seasonal, beers and ales–both domestic and imported. Families have plenty of entertainment and attractions to choose from between bouts of shopping for gear and checking out what’s new at the resorts. The “ELITEAM” Training Center is an interactive, physical-fitness fun area where kids of all ages can play, train, test and challenge themselves on specialized training apparatus under the supervision of Olympian Doug Lewis. New this year is the Keystone Kidtopia play area with a giant inflatable castle where kids can bounce off the walls—literally. Parents have always appreciated the Winter Park Kids Slope where “first timers” get a chance to experience sliding on skis on this gently pitched indoor slope with the guidance of qualified Winter Park ski school instructors. The Flying Aces, always popular with their high-flying trampoline antics performed by well known Olympians and medalists, is adding new thrills this year with the addition of the RipStoke mountain bike team that will be demonstrating amazing mountain bike tricks, techniques and skills. Expo wouldn’t be Expo without “Uncle E” on Center Stage coaxing shoppers to take a break and compete in a variety of crazy contests. The talent and daring of skilled mountain boarders are on display during the MBS Mountainboard Big Air Show where athletes use ramps and platforms to launch their aerial tricks over obstacles as well as demonstrating their finesse riding and sliding on rail features. Besides being a lot of fun, The Gibbon Slackline helps increase balance and build muscle as participants edge their way along a narrow length of webbing from one end to the other—without touching down. Admission costs $12 for adults or $10 with a discount coupon available in The Denver Post or at any Colorado Ski & Golf store. Kids 12 and under are free. And, it is easy to go green at the Expo. Shoppers wanting to save money on gas and downtown parking as well as reduce auto emissions can opt to ride the RTD light rail and get a coupon for $2 off their admission ticket. The D, F or H light rail lines make frequent stops at the Theatre District /Convention Center Station. Another eco-friendly action for shoppers planning to upgrade their equipment this year, is to bring their old skis, boots, boards or poles to the Expo and drop them off for free recycling. Usable equipment is donated to local charitable programs while truly trashed items are being crushed and prepared for recycling into new products. To date, the Colorado Ski & Golf effort, in conjunction with Snowsports Industries of America (SIA) has recycled 500 tons of old gear since September 2008. 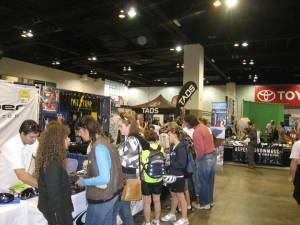 For more information, visit the Expo website at www.skisnowboardexpo.com.